The number of changes that affect SEO marketers from Google updates and policy changes can be mind-boggling. It becomes even harder to keep up with when Google changes its mind on an issue as important as authorship. Just a year ago, Google was insisting that content should be tagged with an author tag so that they could pinpoint experts in specific fields of knowledge and assign them an AuthorRank. They sent out videos, press releases, and informational material to update website owners and SEO marketers on how to make sure their content had authorship information. It was even suggested that using the author tag, in conjunction with the Google+ social media platform, SEO experts could gain an edge as a preferred expert in the Google search engine. Millions of marketers scrambled to include bios and author information, in their published content, to get that edge. Now, it seems all that work was all for nothing! Google has quietly removed support for authorship and has change its policies about publishing author information in search results. The good news is that you won’t have to go out and find all that content you published with a rel=author tag and remove it. The search engine giant has decided to simply ignore the tag, when it is present. As for the rel=publisher tag, that will still have some weight. At least, for now, people trying to optimize their pages can breathe a sigh of relief that the policy change won’t cost them countless hours rewriting existing content. 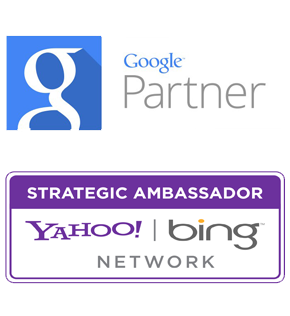 In addition, Google was not the only entity who might have used AuthorRank for some business purpose. Thus, it makes good sense to keep it in your content, in case other business entities were using it to identify your content too. But, what did it cost? While there seems to be little fallout from the decision to scrap author ranking, it does mean that all that work people put into gaining that edge no longer does anything for them. With this move, Google is signaling the death of authorship and won’t be supporting at all in the future. It signals an entire shift away from promoting experts in their industries and a nod back towards the fundamentals of basic SEO, like keywords and topical content, rather than tying it to actual content producers. This will make it harder for solopreneurs who want to score high in the Search Engine Page Results (SERPs) as an expert in their topic, as the content they generate will no longer be rated higher based on their power as a unique author. In addition, the author snippets that got published in conjunction with the SERPs have been discontinued, reducing the level of exposure for previously highly ranked authors.